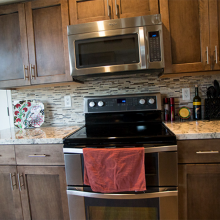 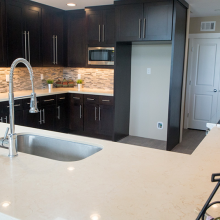 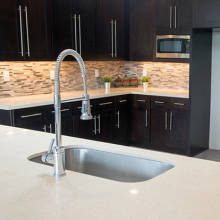 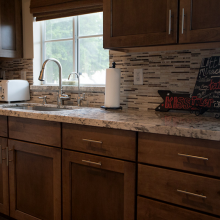 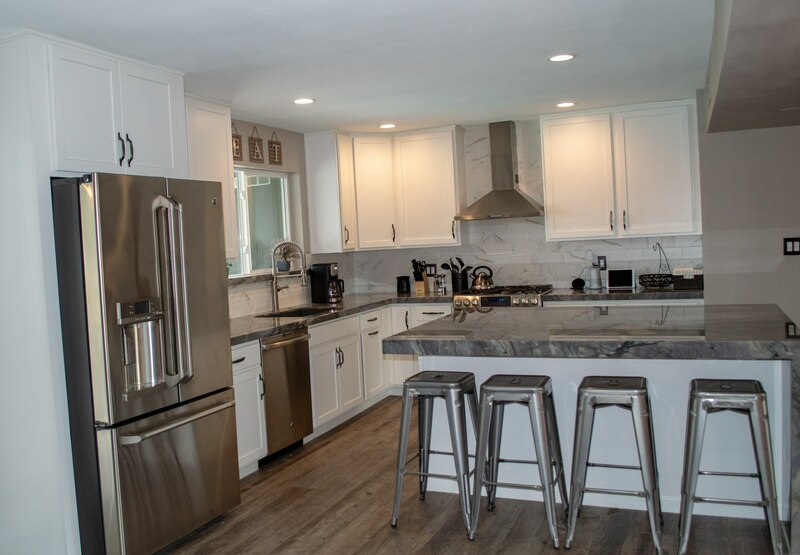 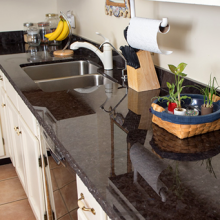 Choosing the right granite kitchen counter top can be a tough process, but with our years of expertise, we can help make this process simple, professional and affordable! 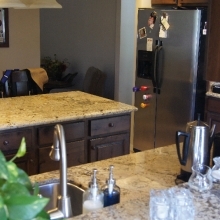 Granite dude, installs granite of all shapes and sizes no matter what the location. 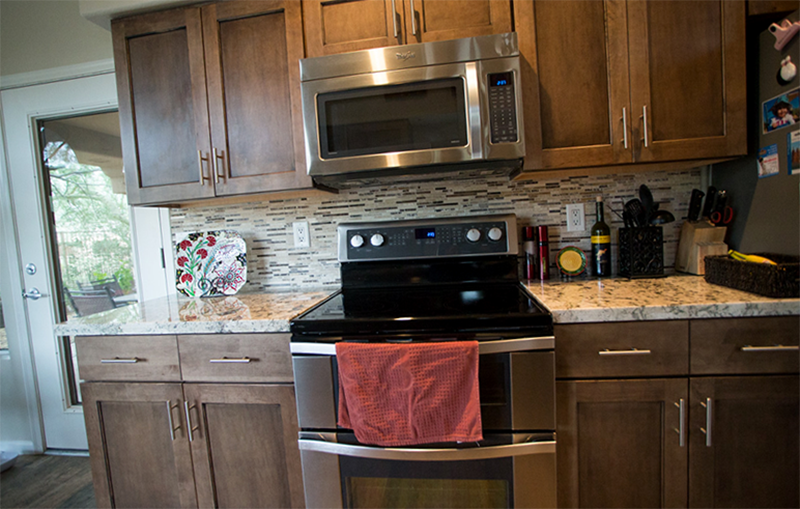 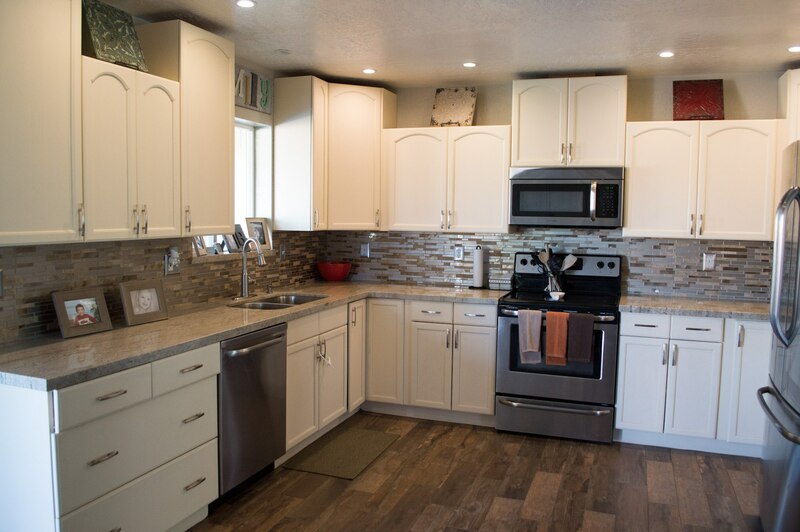 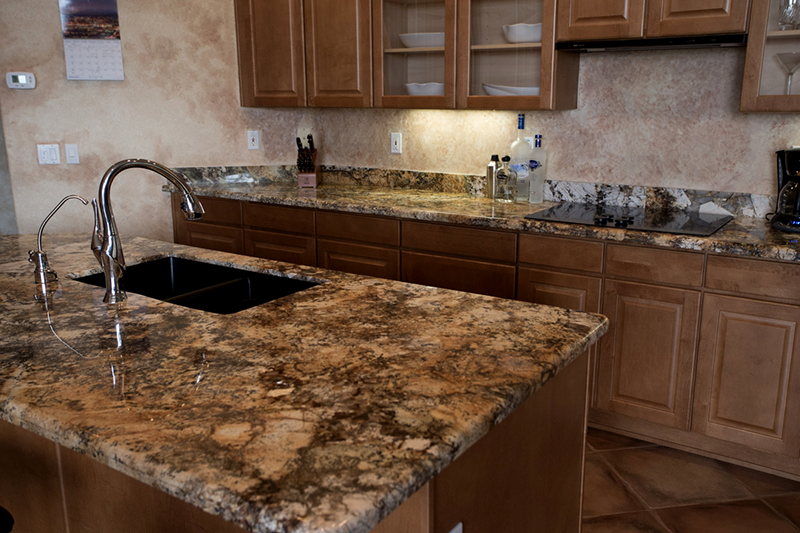 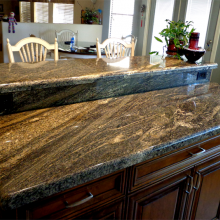 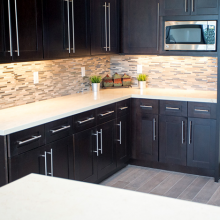 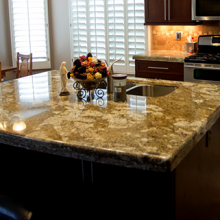 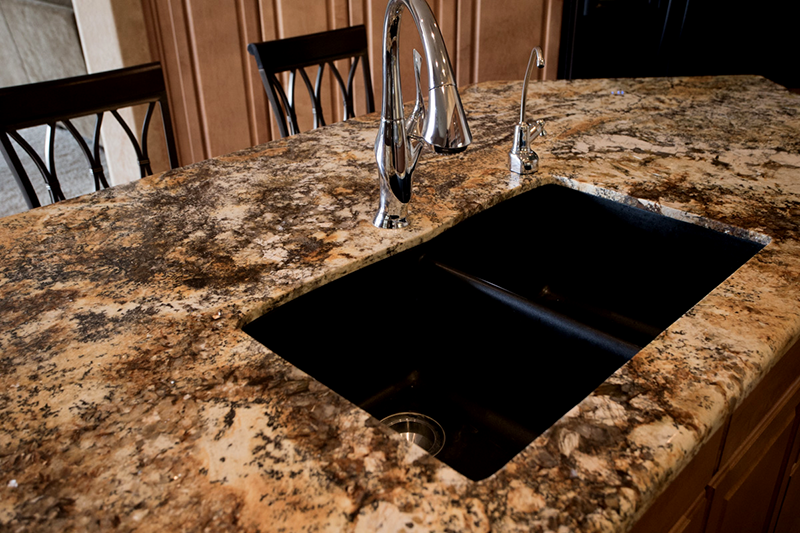 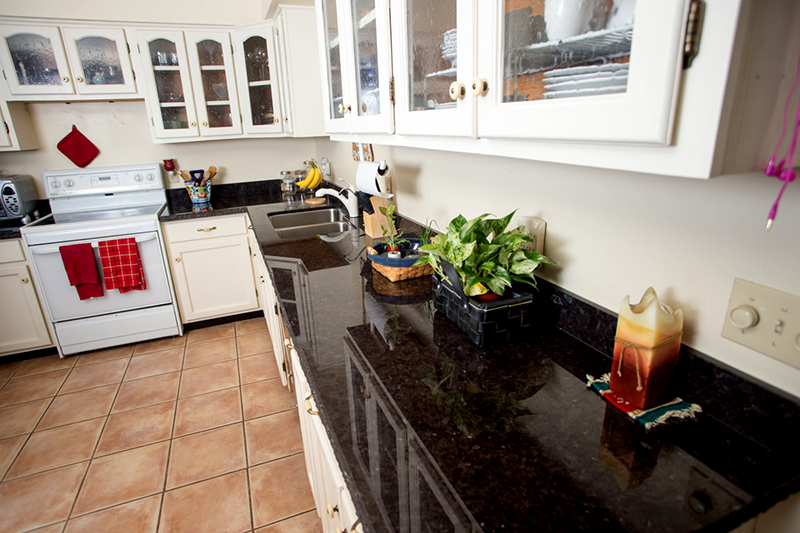 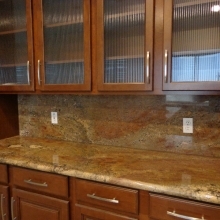 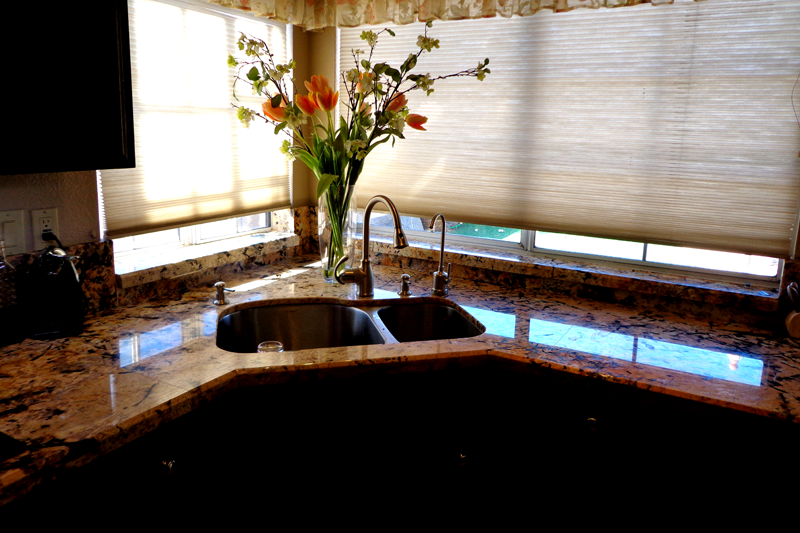 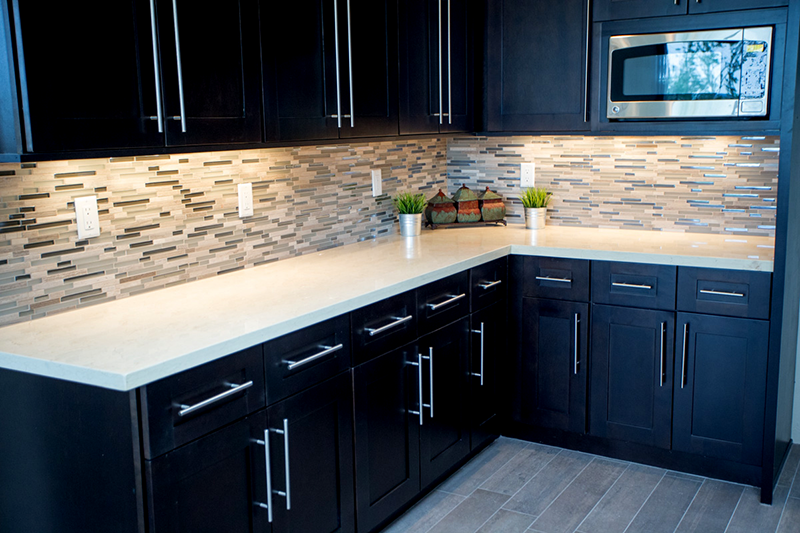 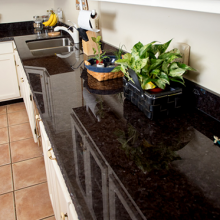 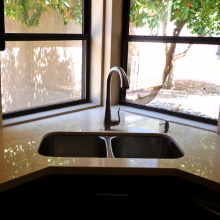 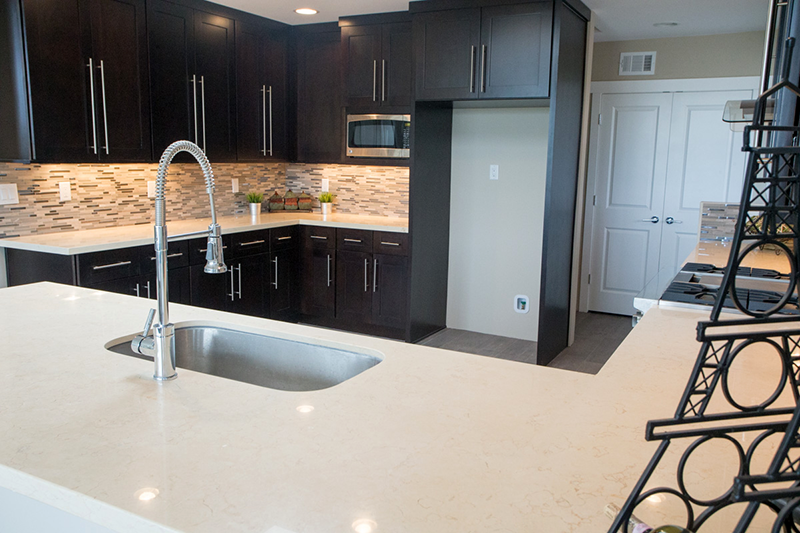 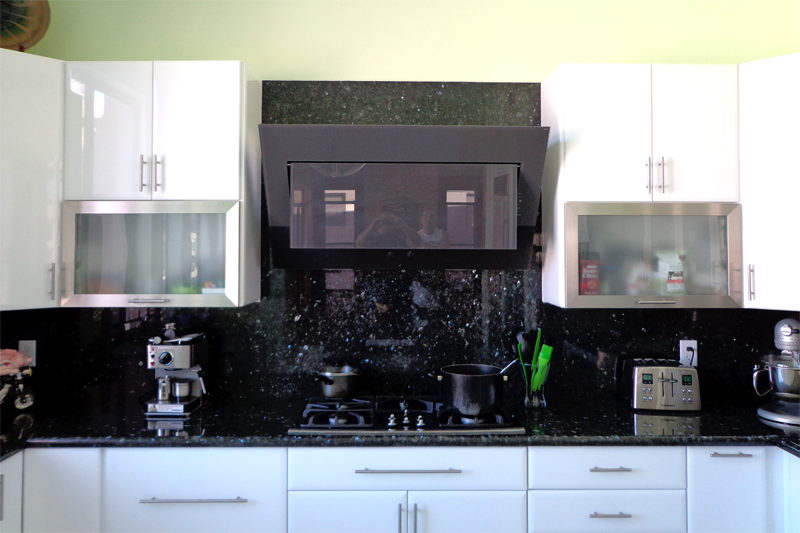 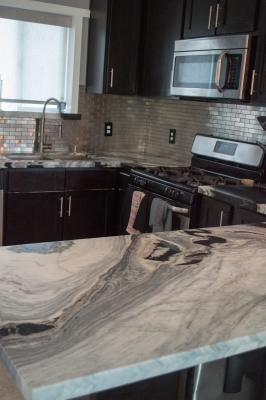 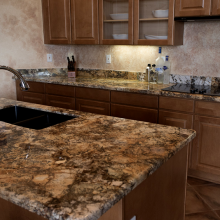 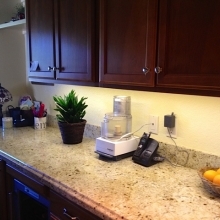 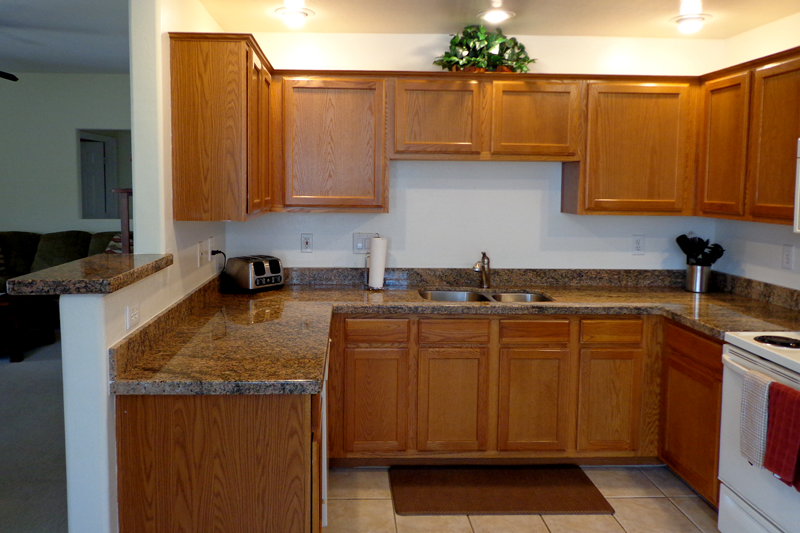 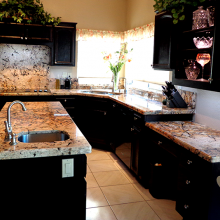 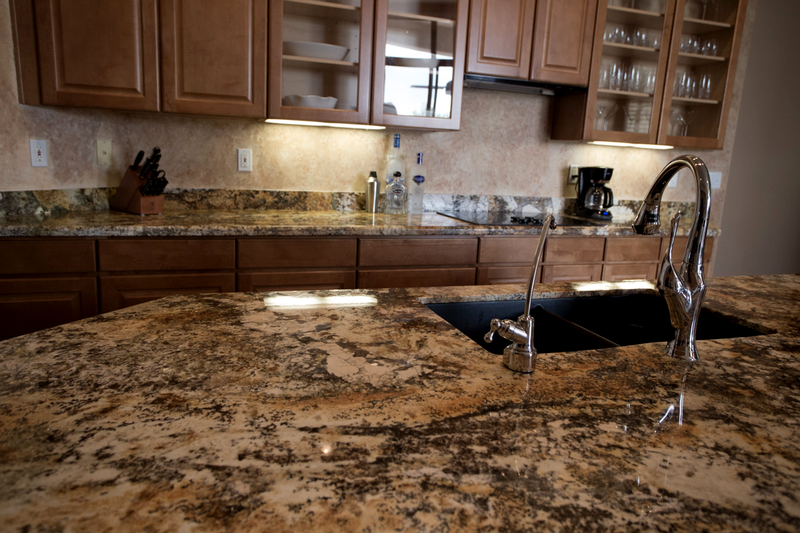 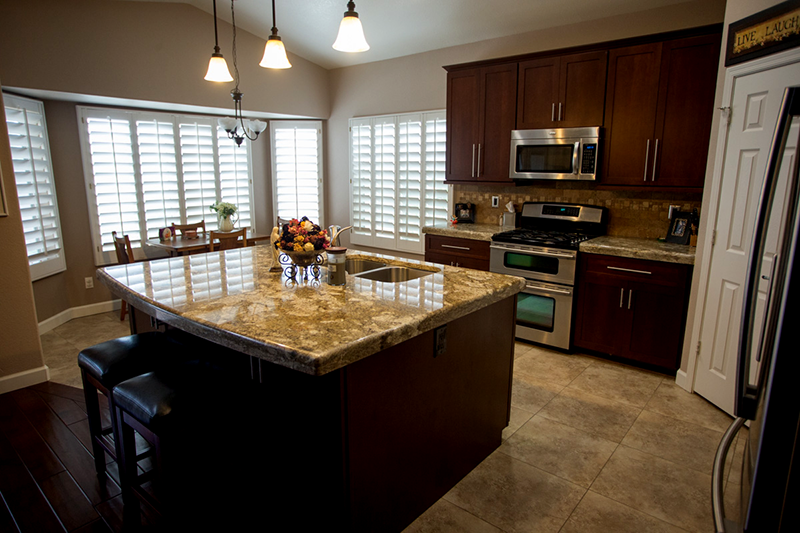 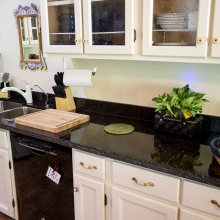 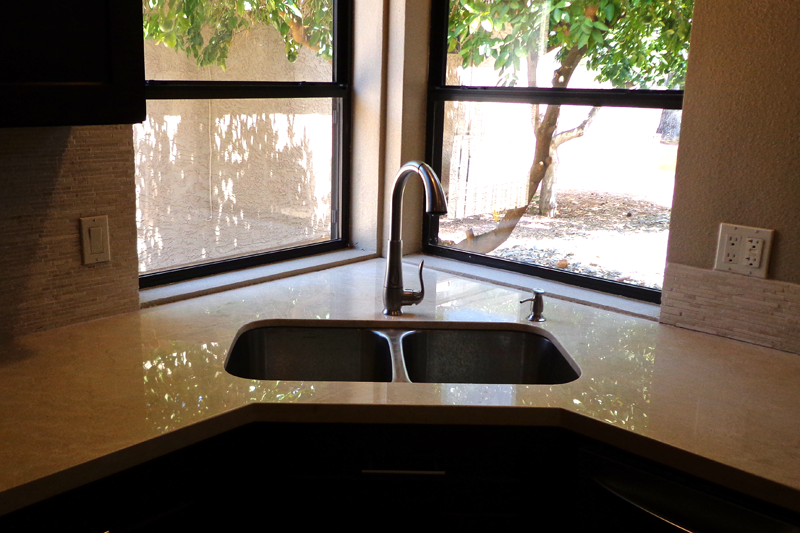 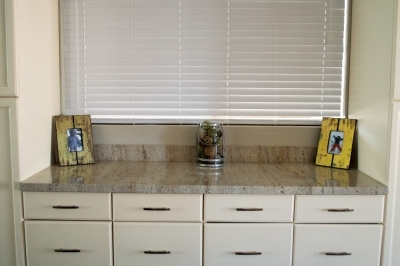 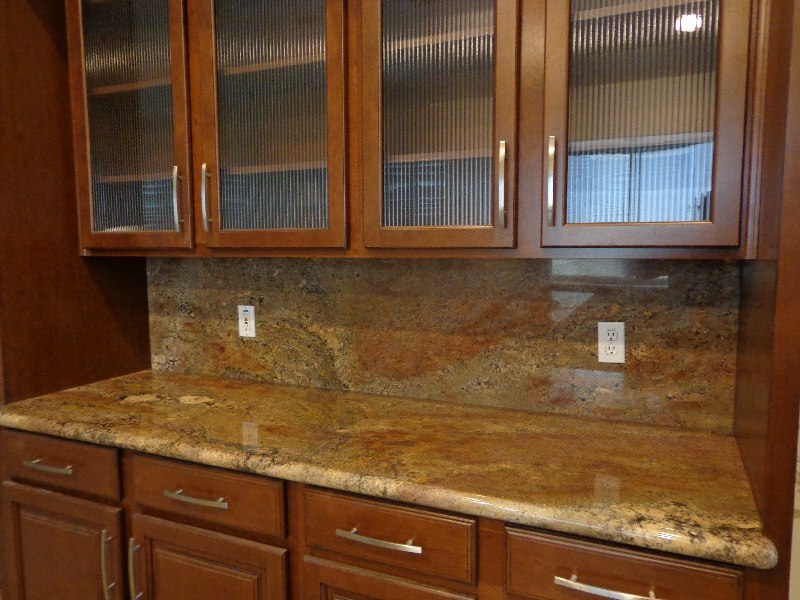 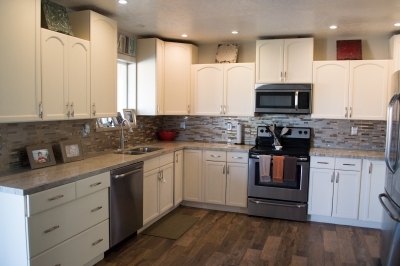 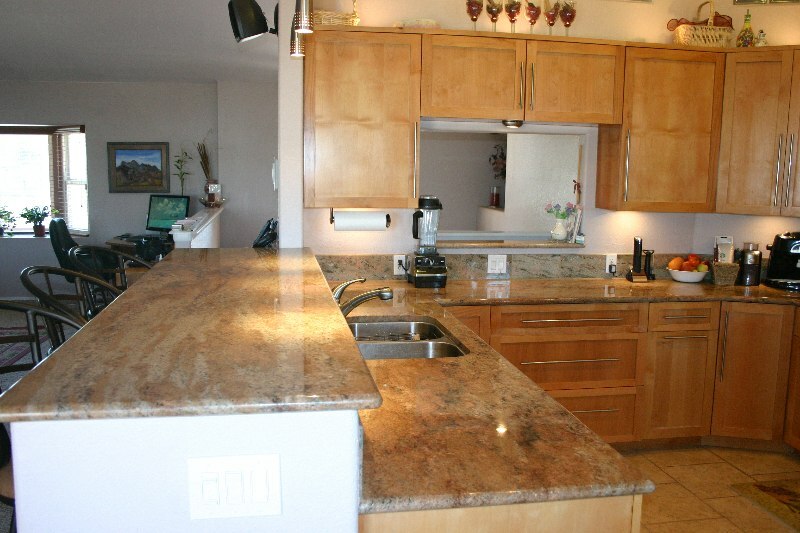 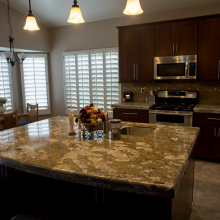 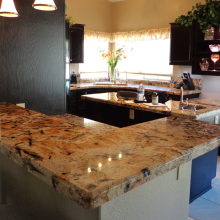 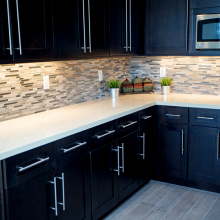 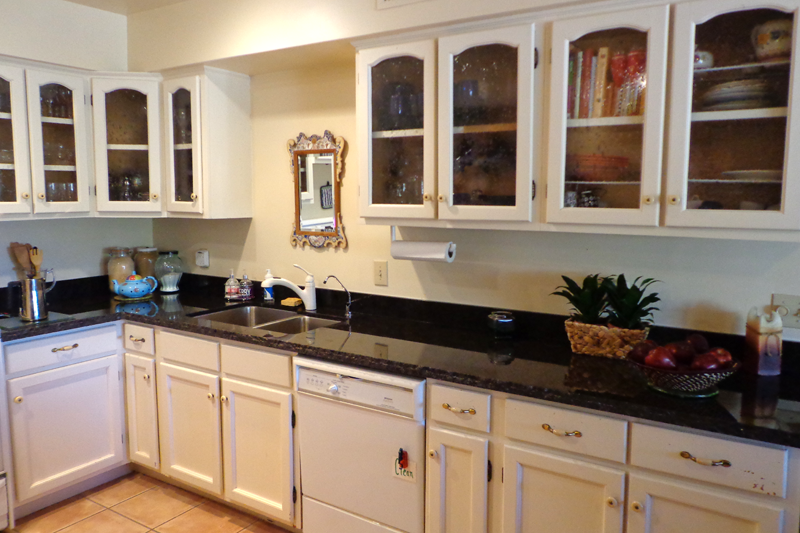 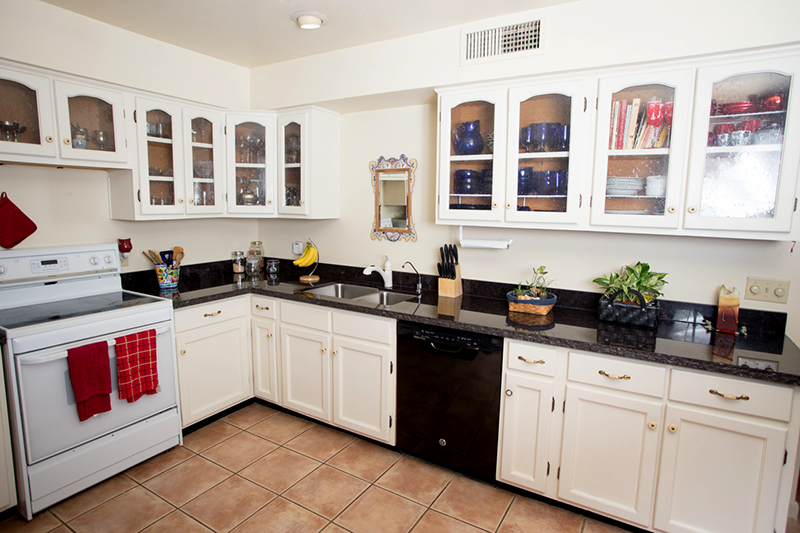 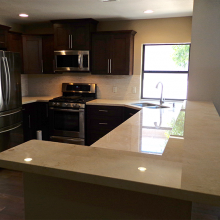 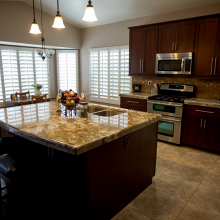 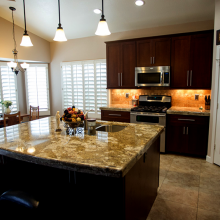 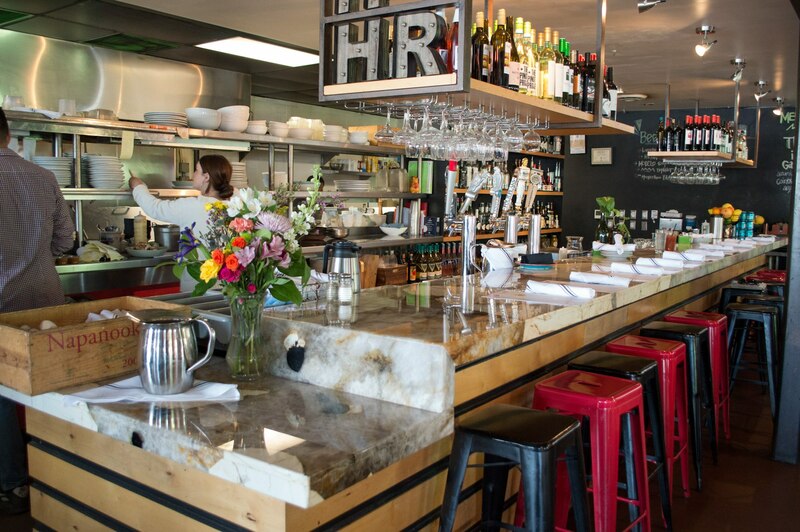 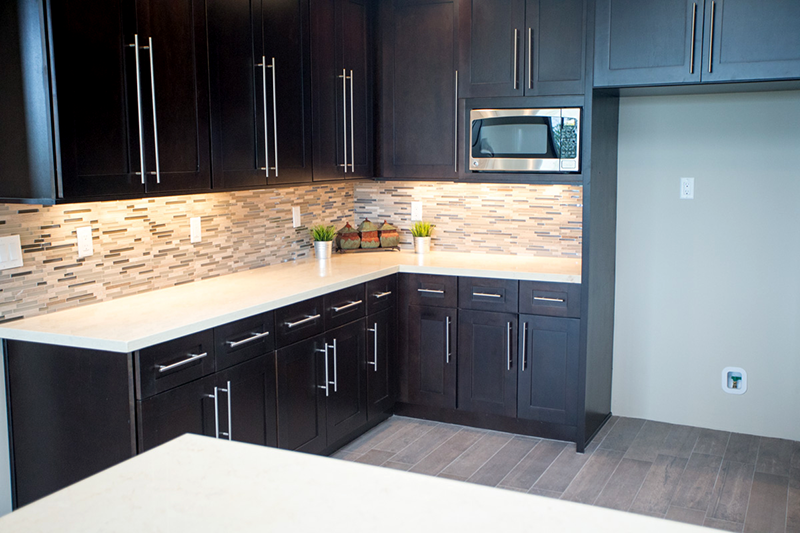 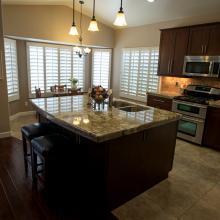 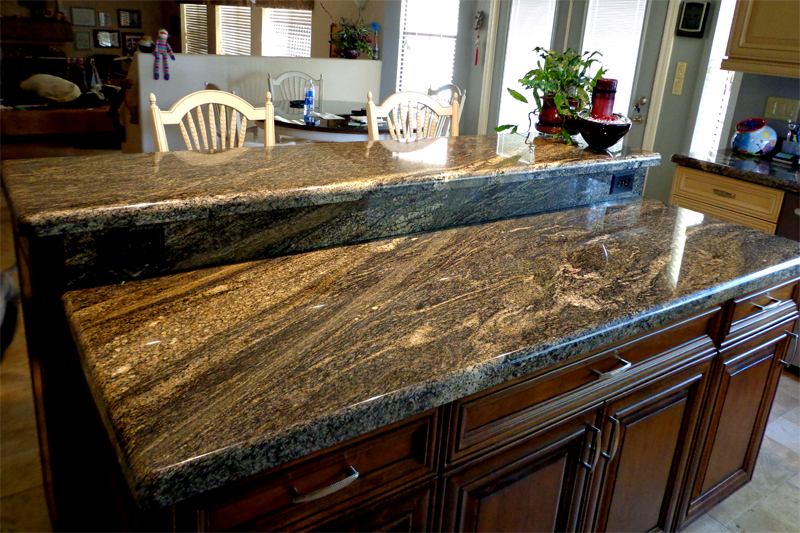 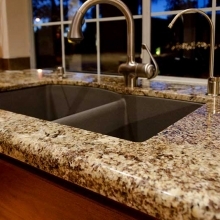 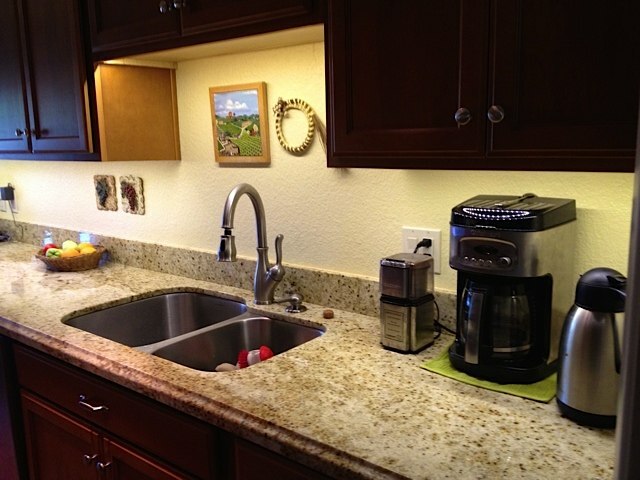 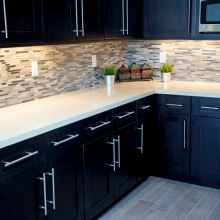 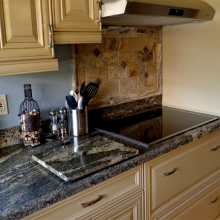 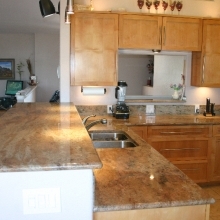 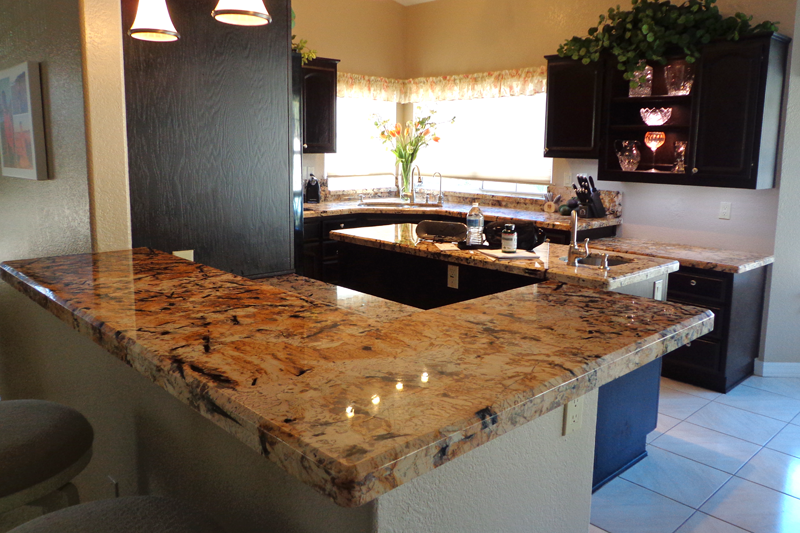 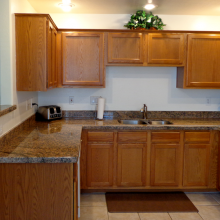 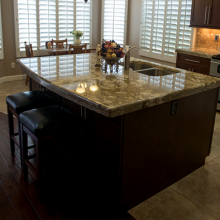 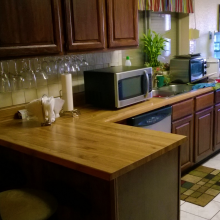 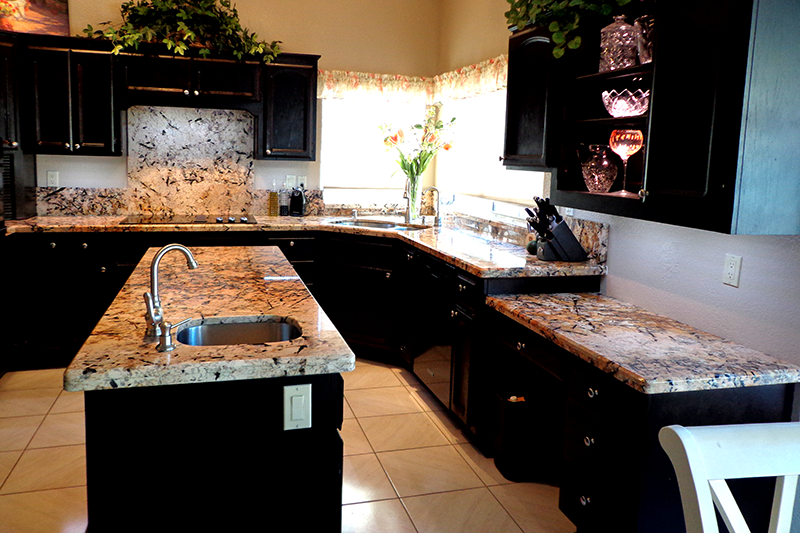 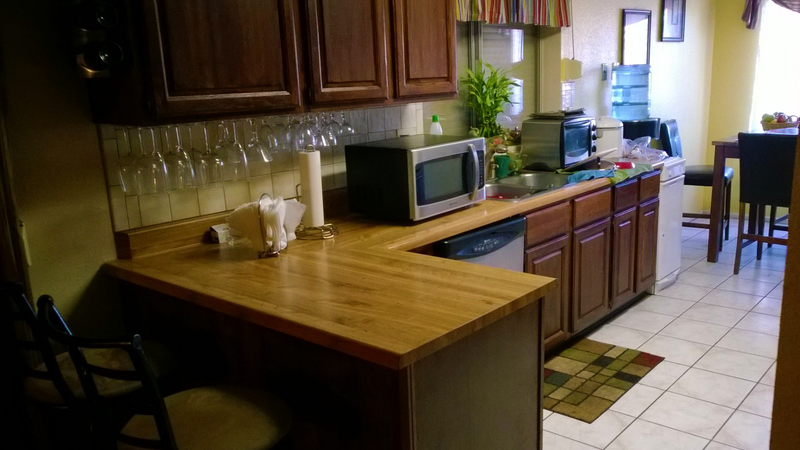 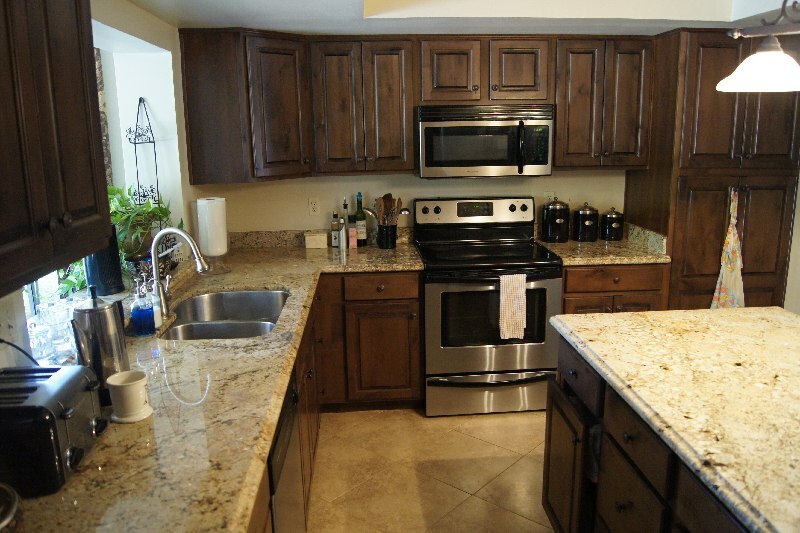 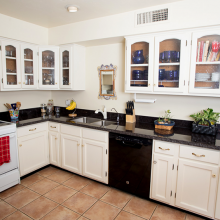 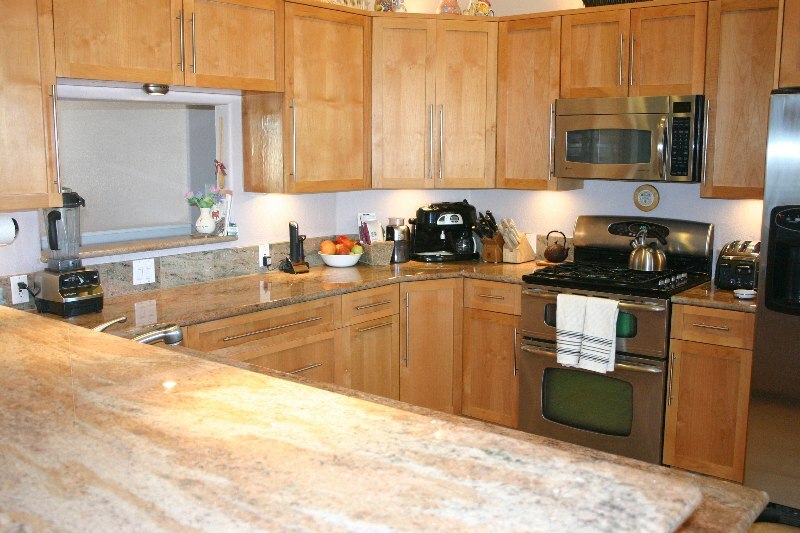 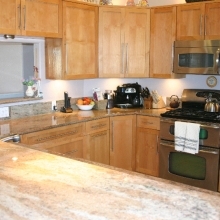 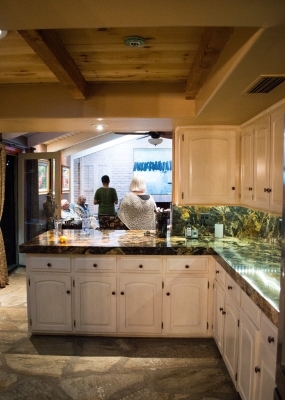 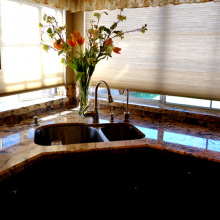 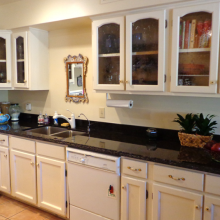 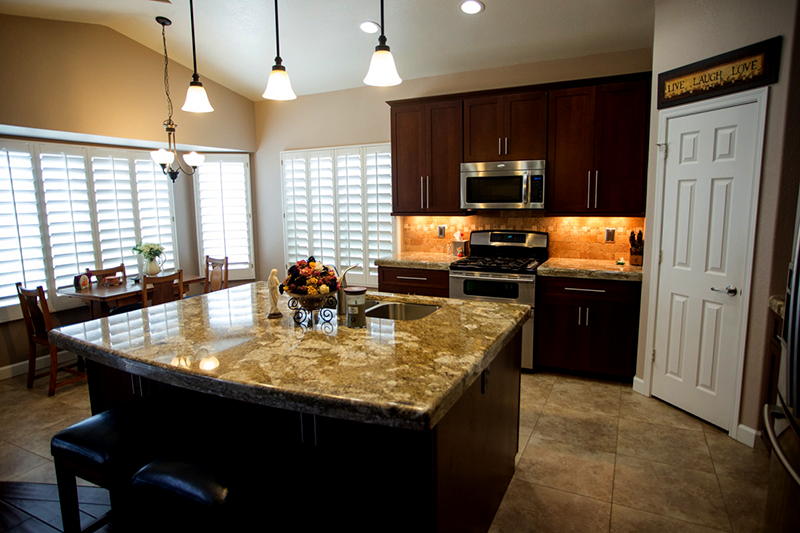 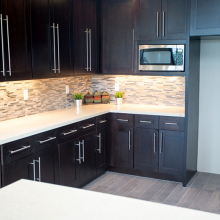 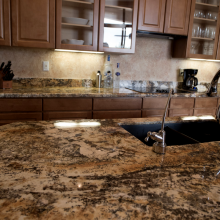 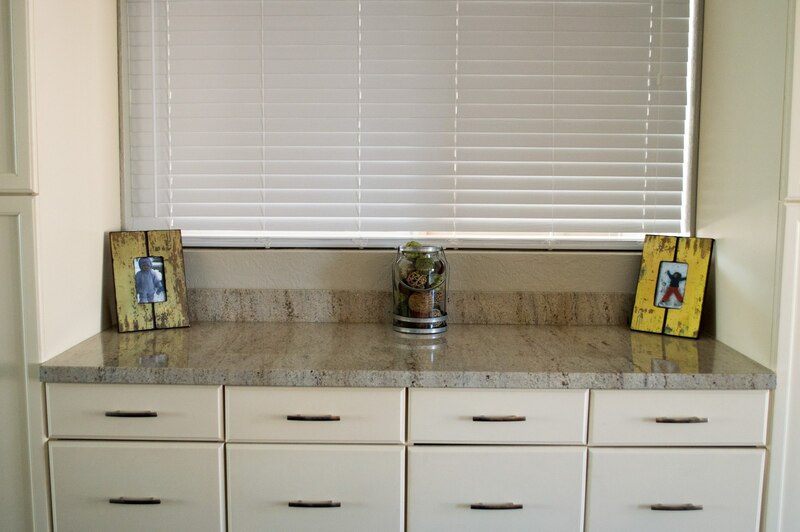 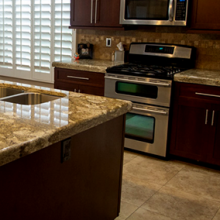 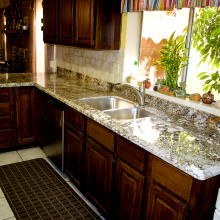 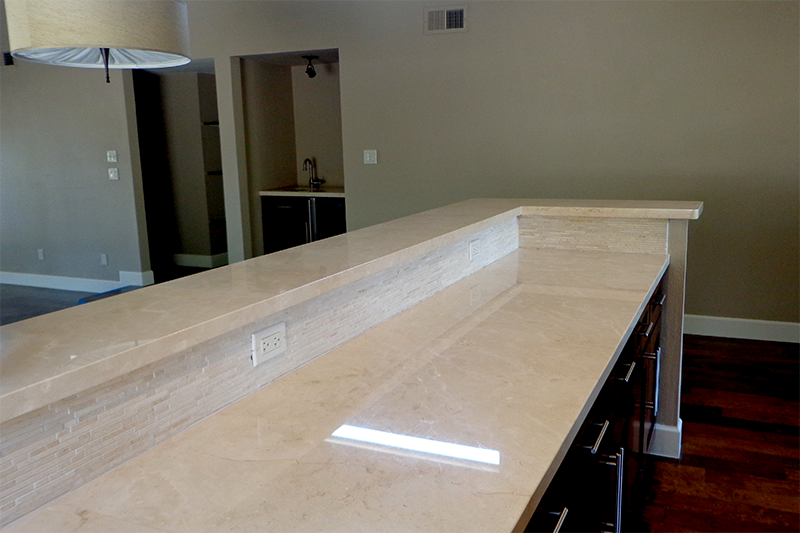 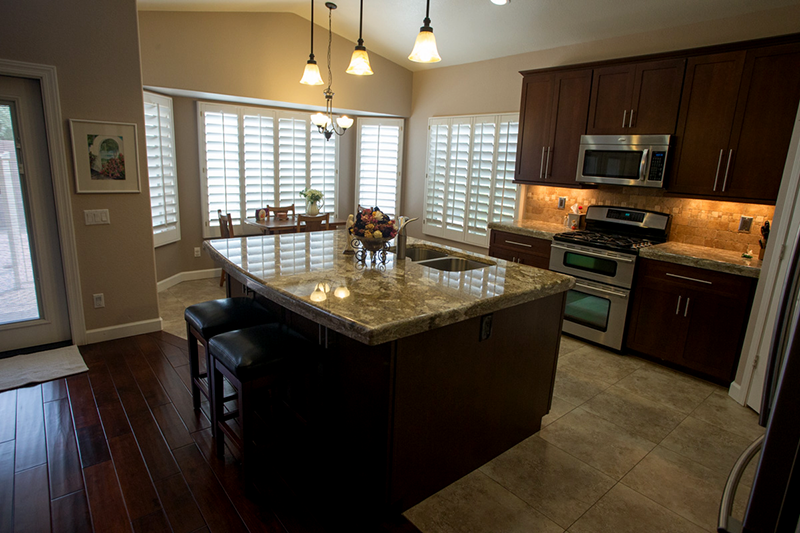 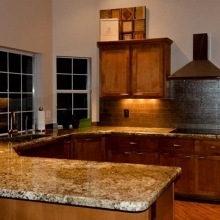 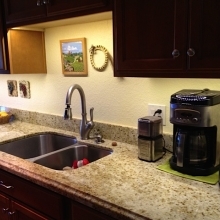 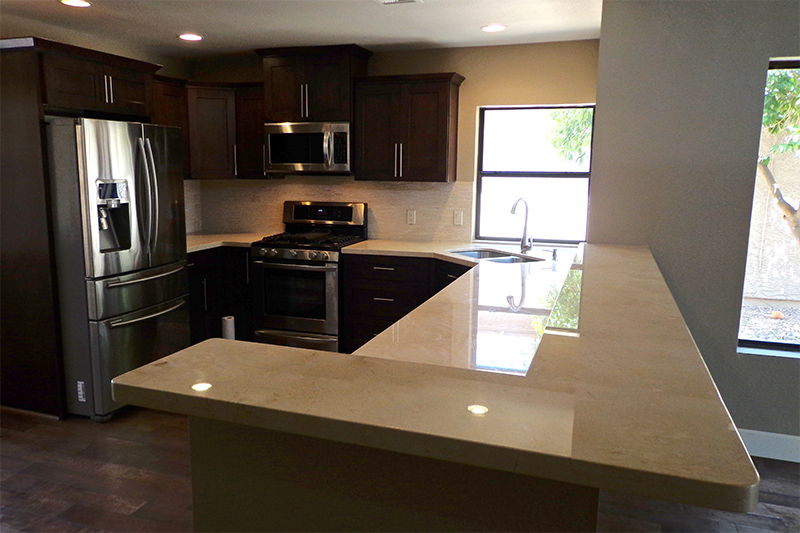 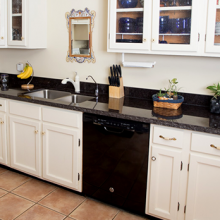 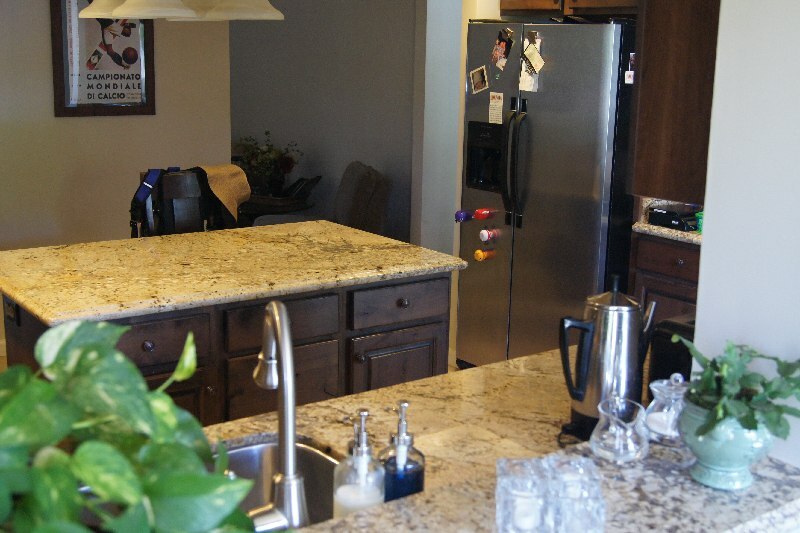 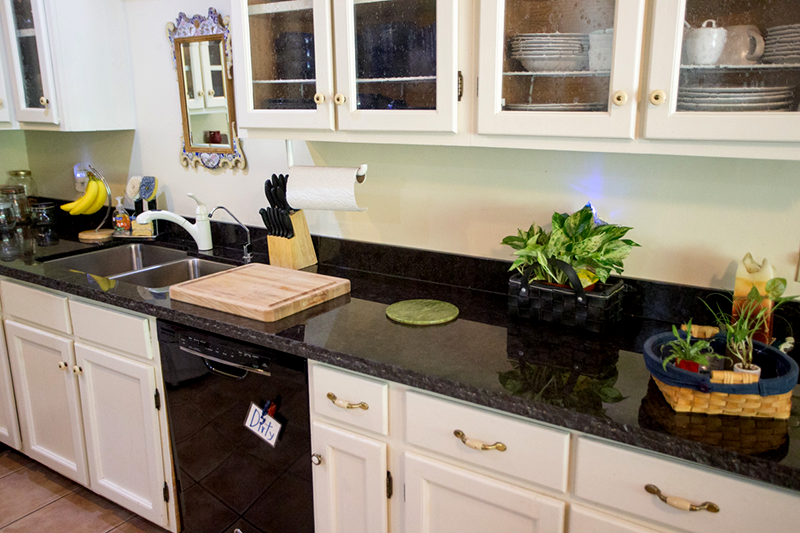 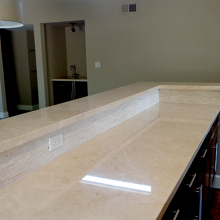 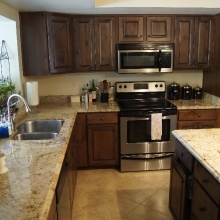 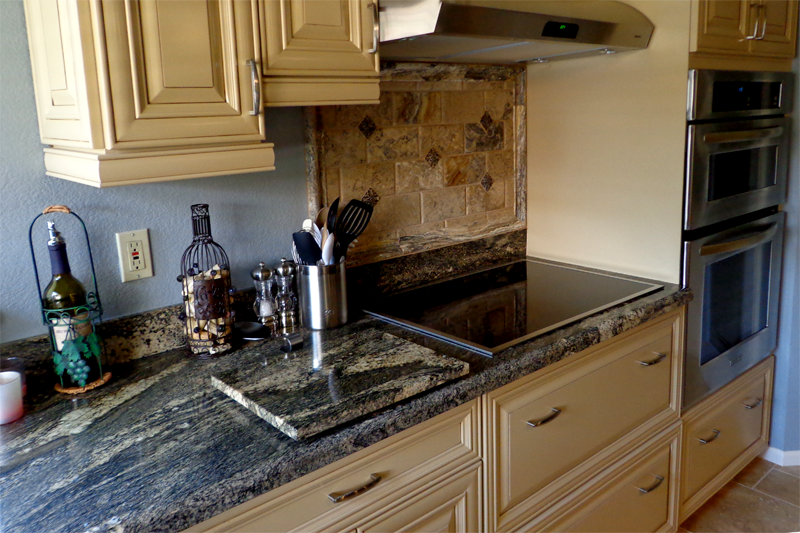 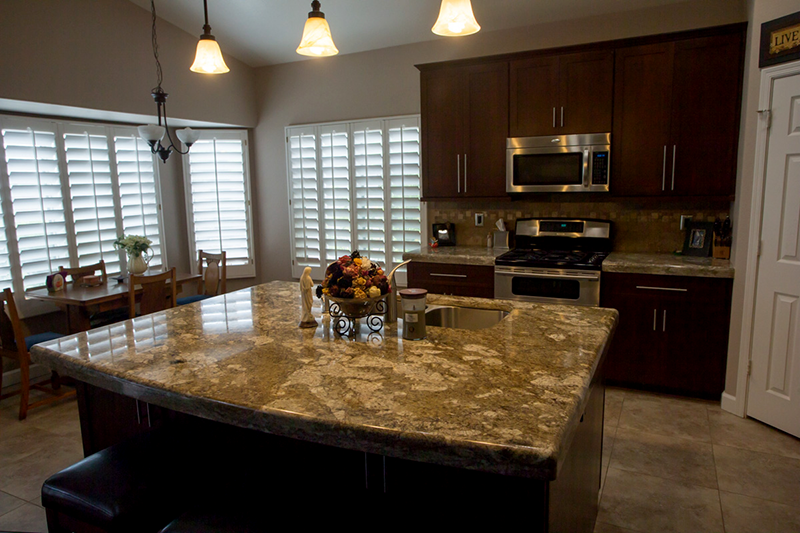 One area that we especially pride ourselves on is the installation of custom granite kitchen counter tops. 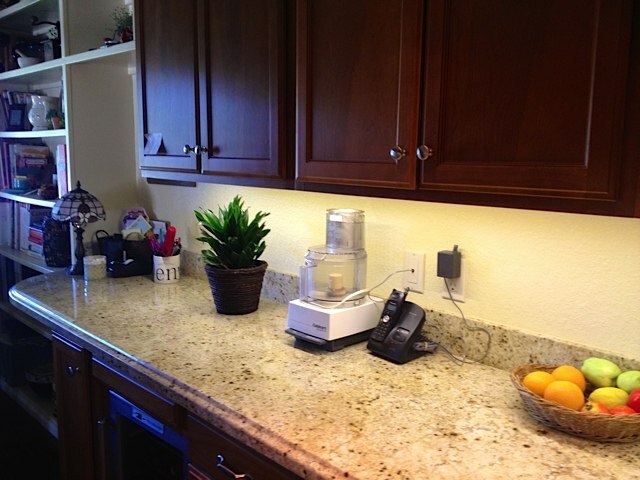 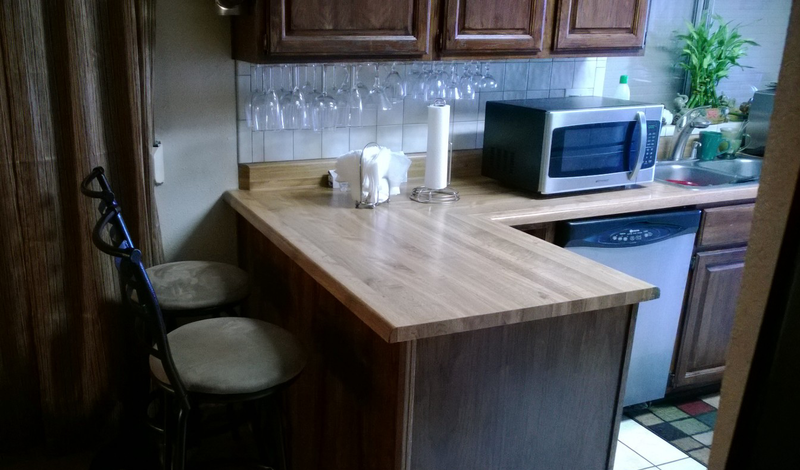 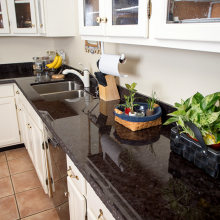 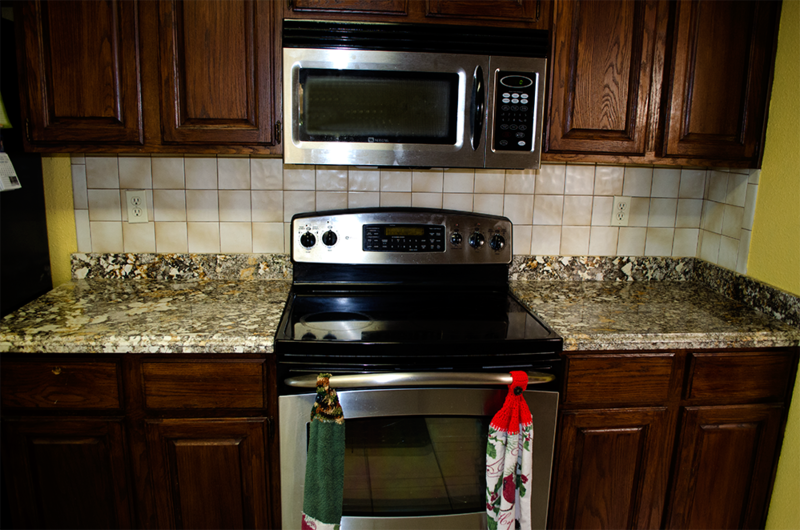 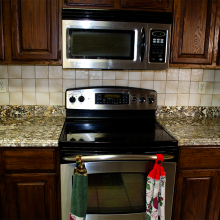 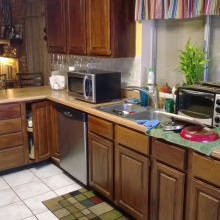 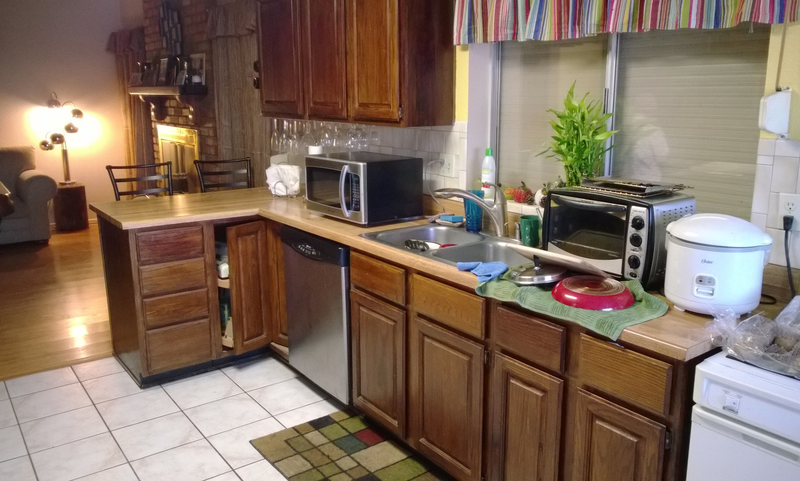 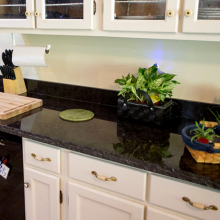 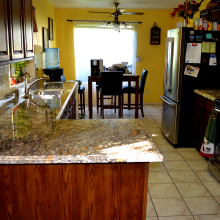 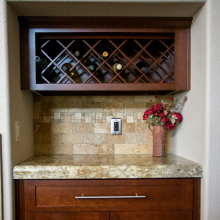 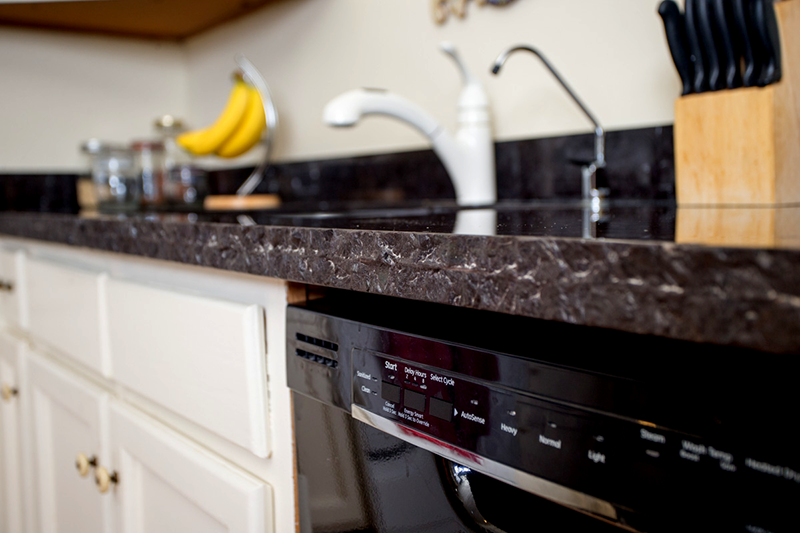 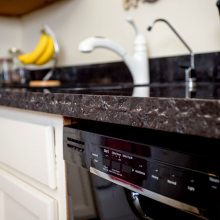 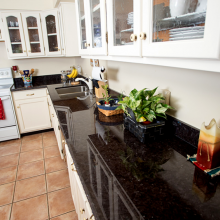 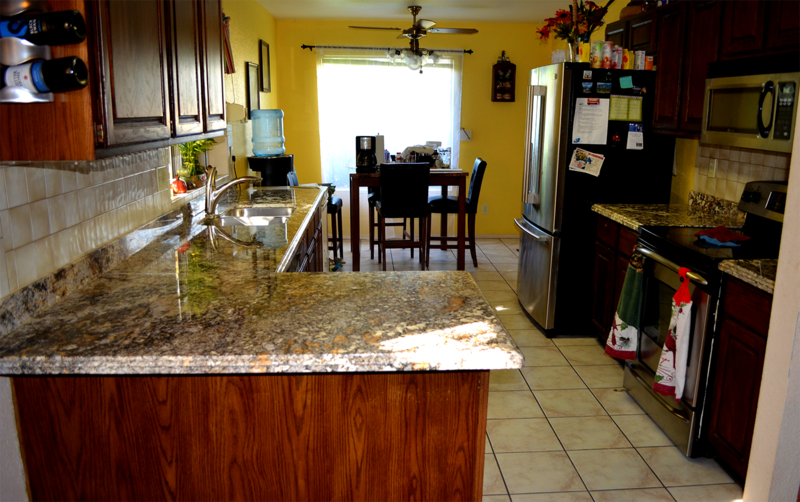 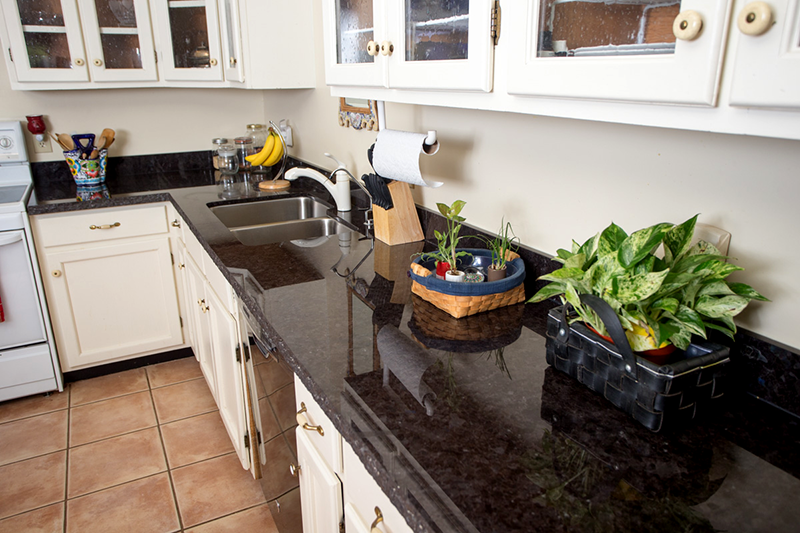 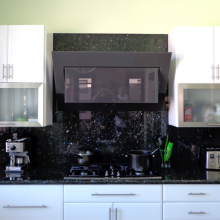 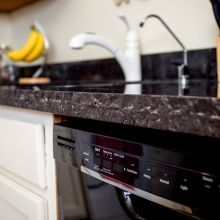 As with all upgrades, choosing the right granite counter top is a major decision. 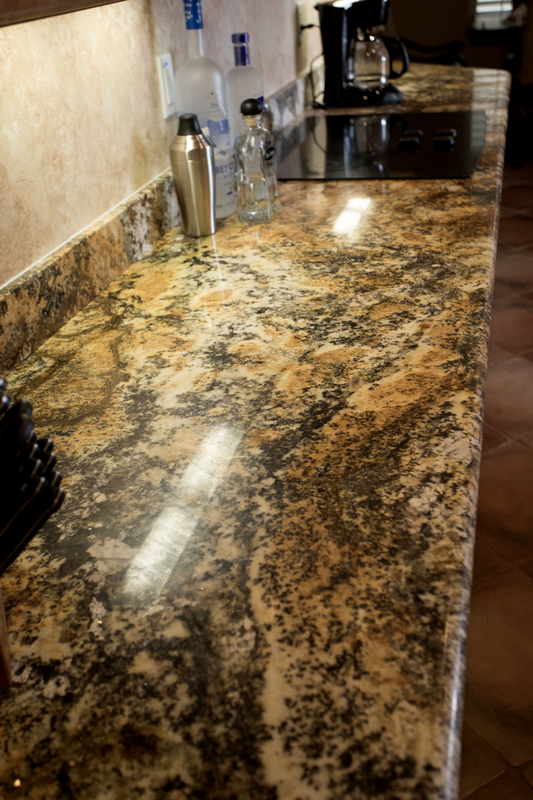 With the costs associated with the granite, the installation and disposal of unwanted/old material, it is important to make the right choice. 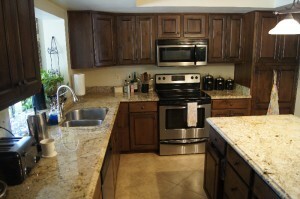 When making this decision, it is important to keep all possible ramifications of your choice in mind. 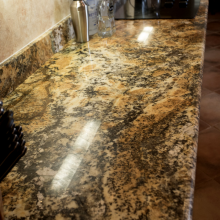 By basing your slab choice on looks alone, you may overlook important aspects such as composition, maintenance and durability. 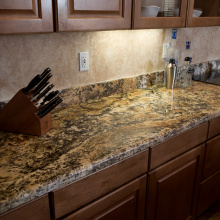 This choice is especially important for families with young children or pets, as although you may prefer a lighter stone color, it may not be the best choice for your lifestyle. 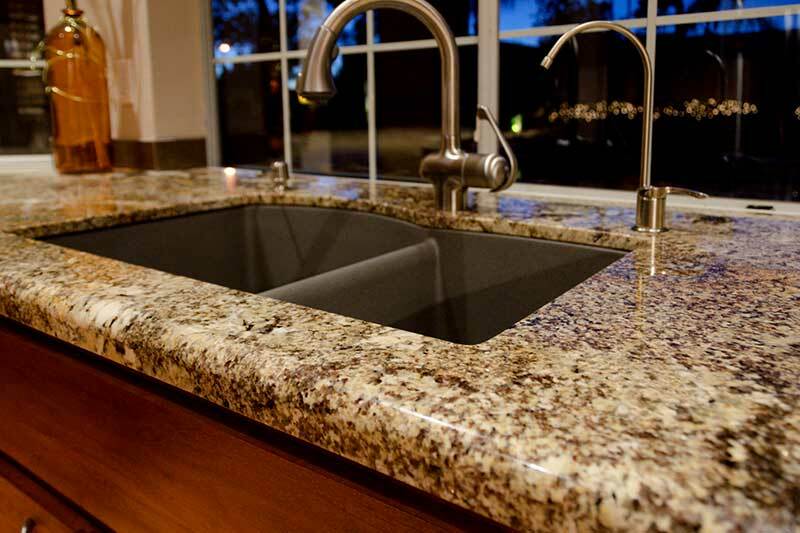 Granite Dude Teams will guide you and provide the pros and cons to help you make the right choice for your granite kitchen counter top. 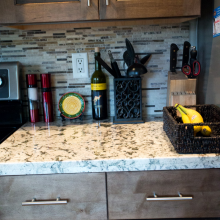 Customize Your Edge for a Unique Feel! 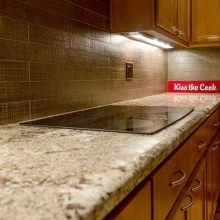 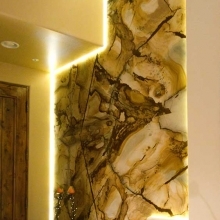 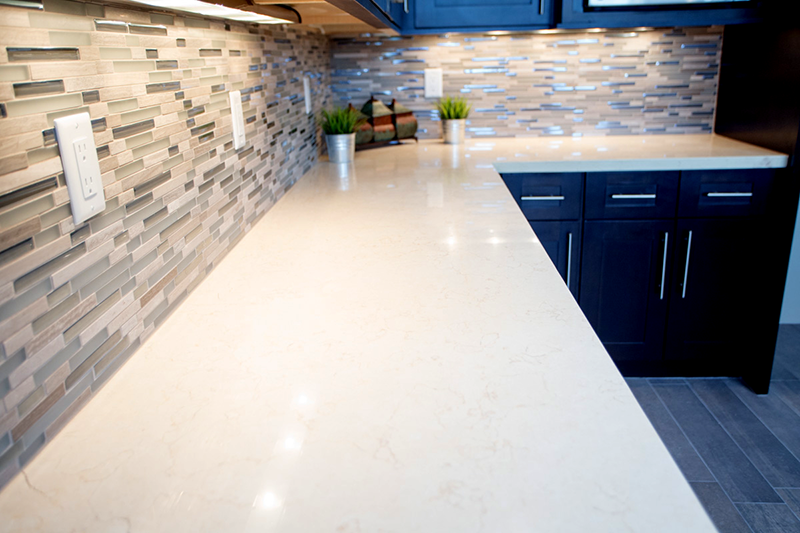 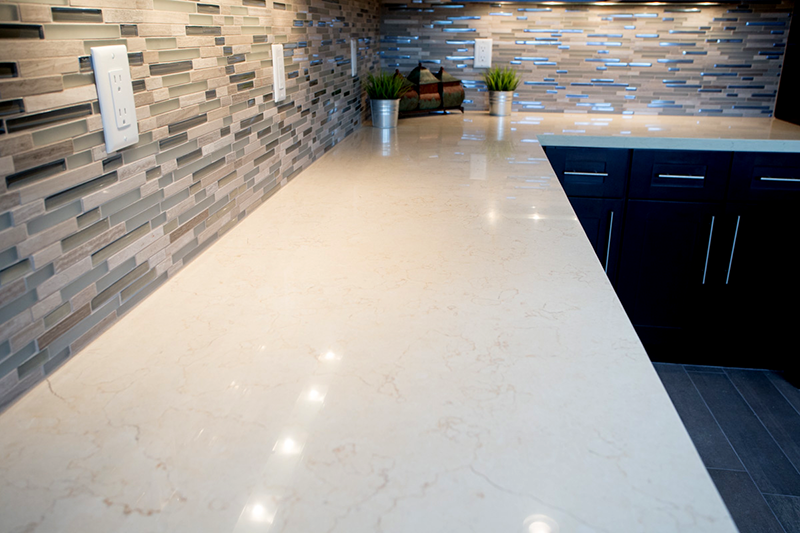 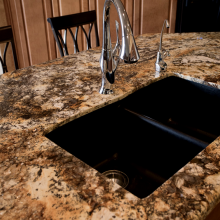 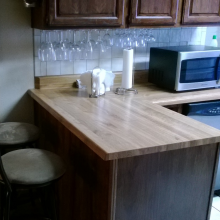 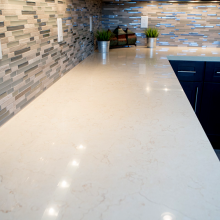 Not only is the actual top of your counter something that should be custom designed, but every countertop installation can be made unique by customizing the edge of your slab. 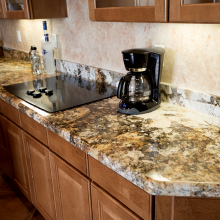 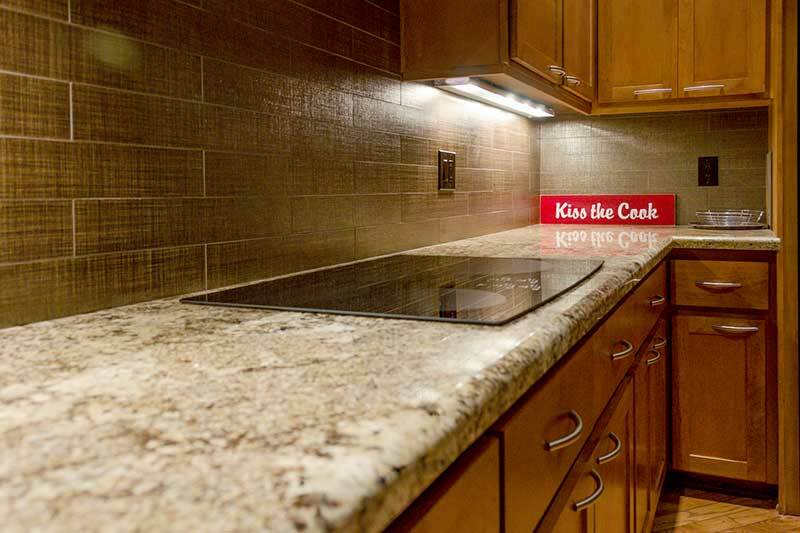 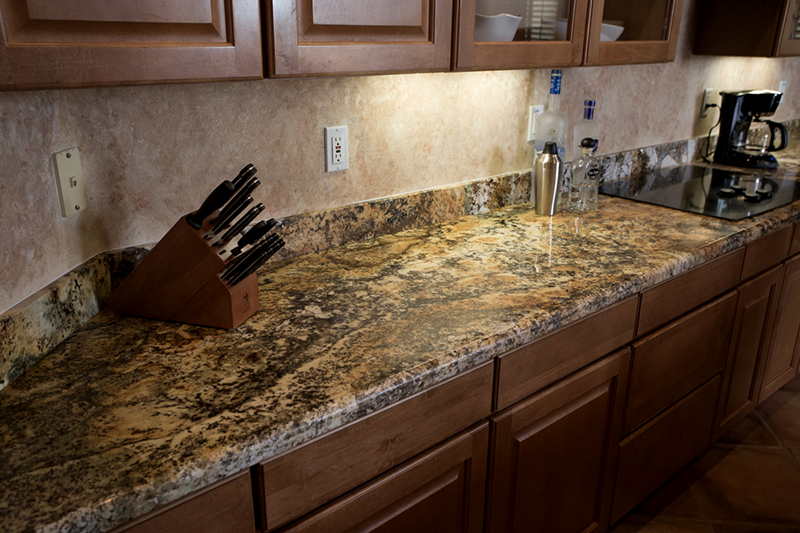 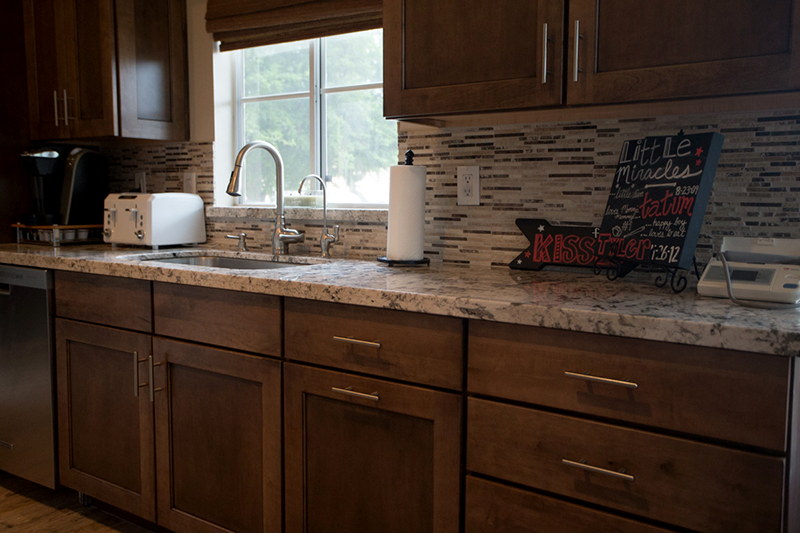 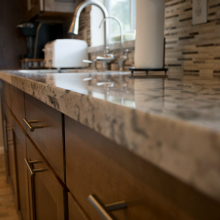 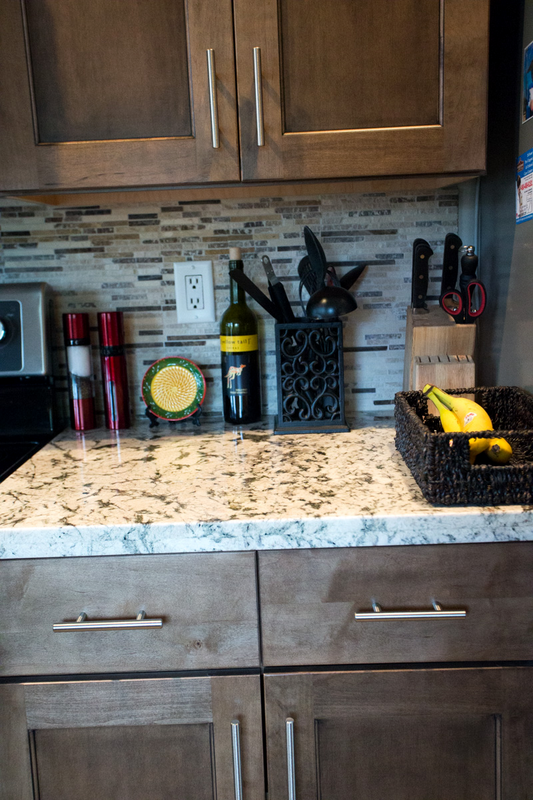 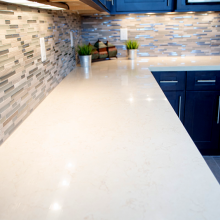 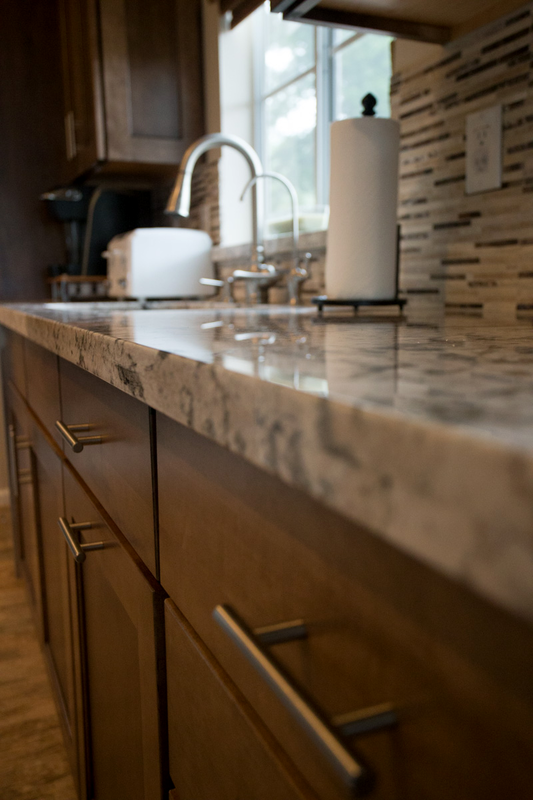 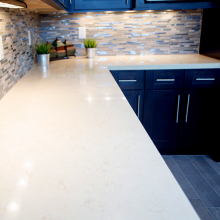 From traditional square to more decorative edges like egg or bullnose, Granite Dude can help you choose the right edge to further accentuate your custom kitchen. 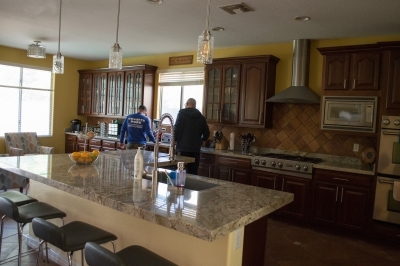 All members of the Granite Dude team are licensed, bonded, and Insured. 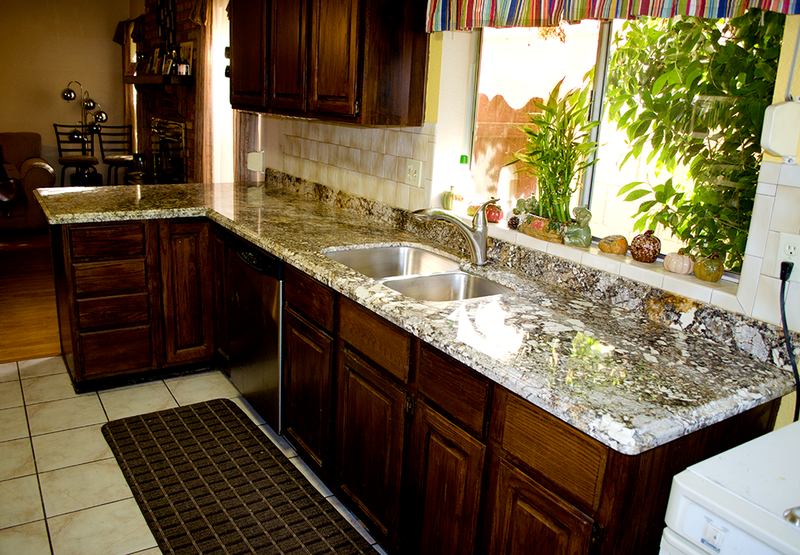 We also offer the industry’s best warranty, so if any issues arise, you will feel safe and secure with your investment. 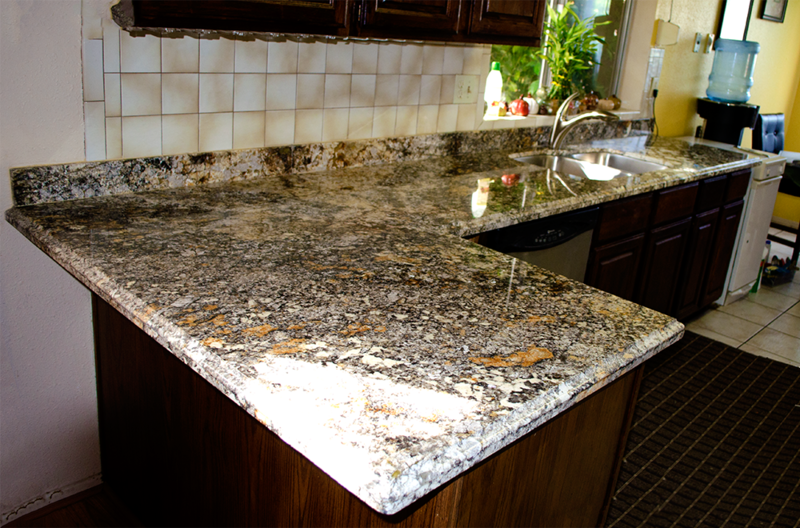 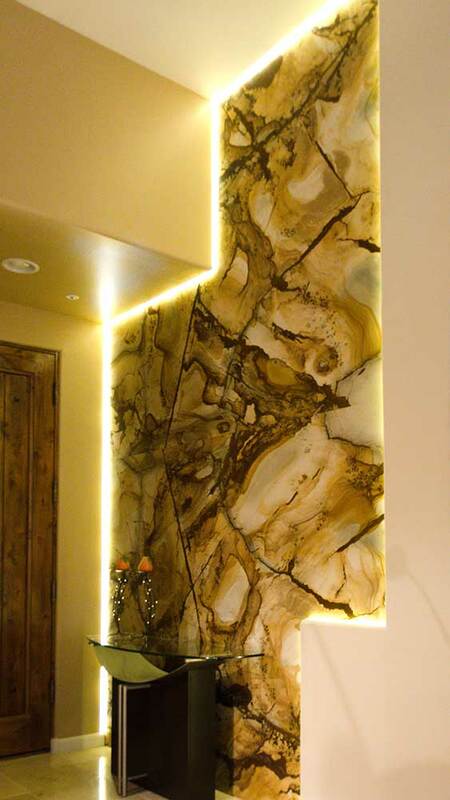 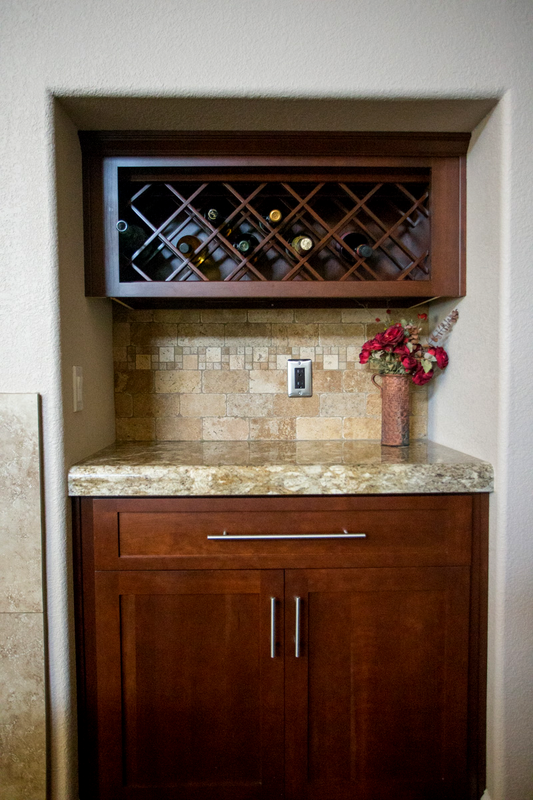 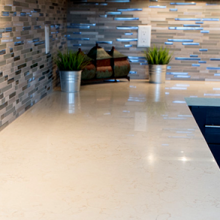 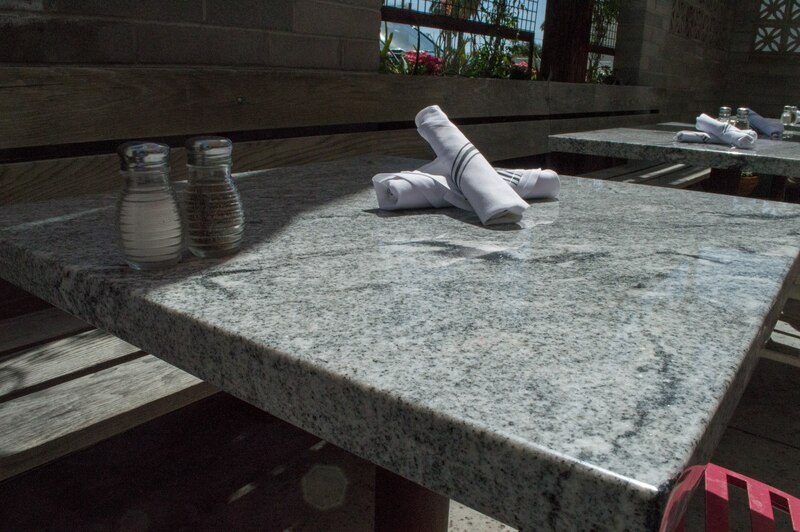 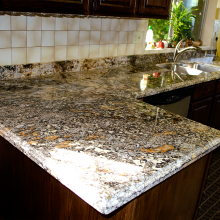 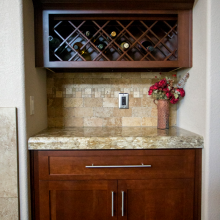 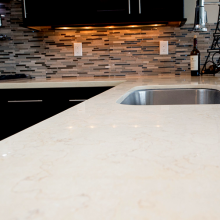 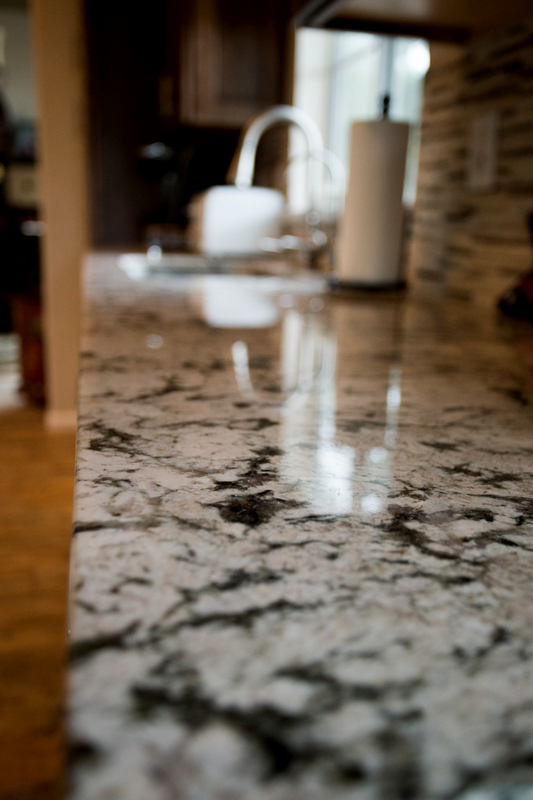 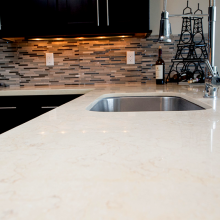 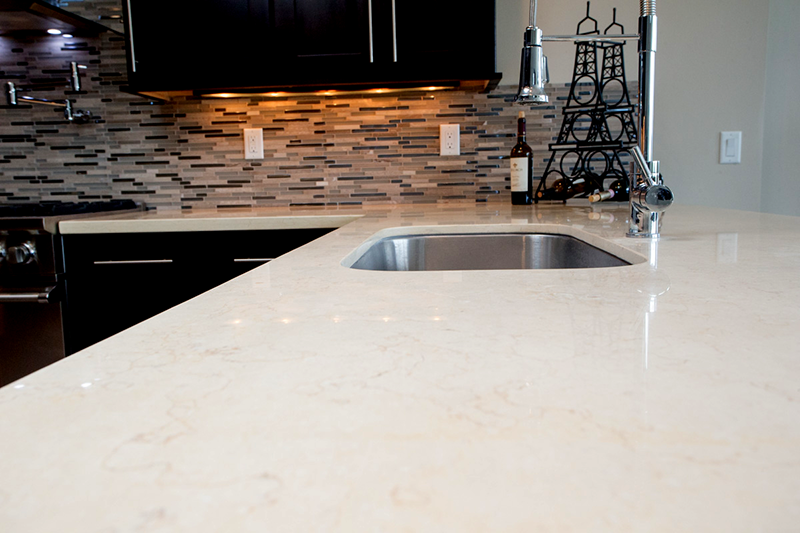 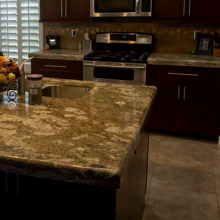 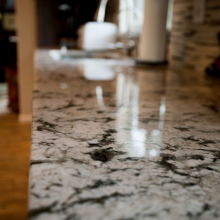 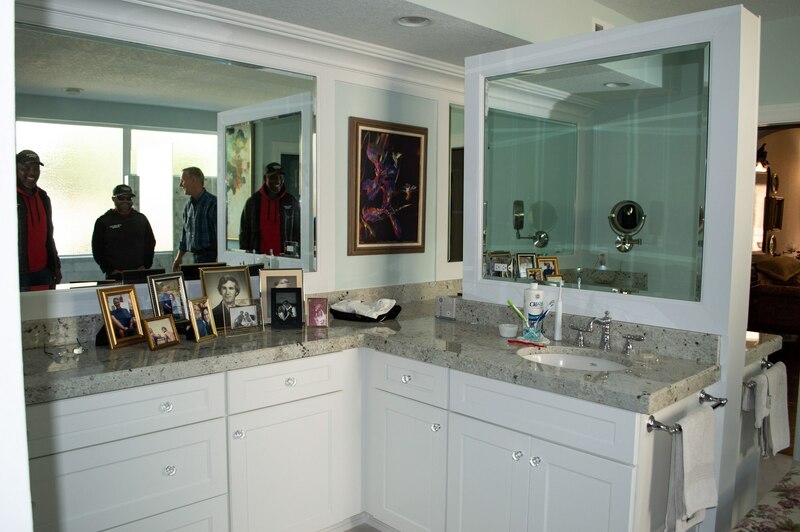 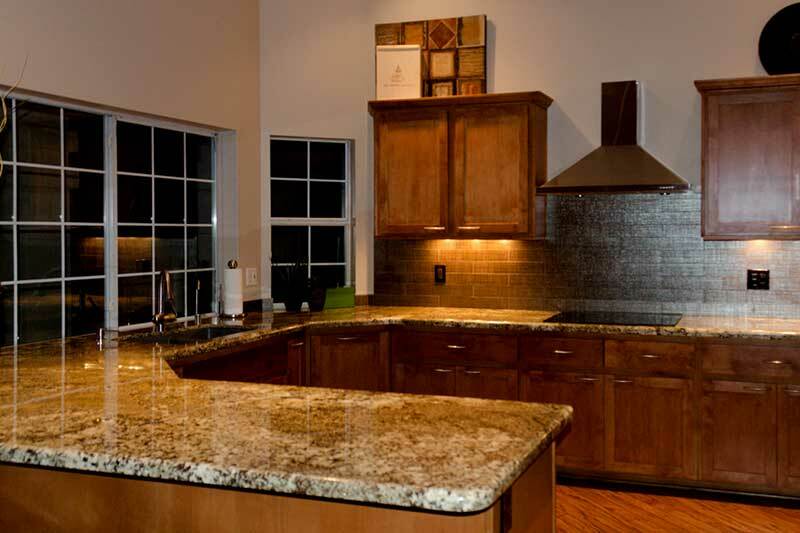 At Granite Dude, we pride ourselves on superb service, custom craftsmanship, and exceeding our customers’ expectations. 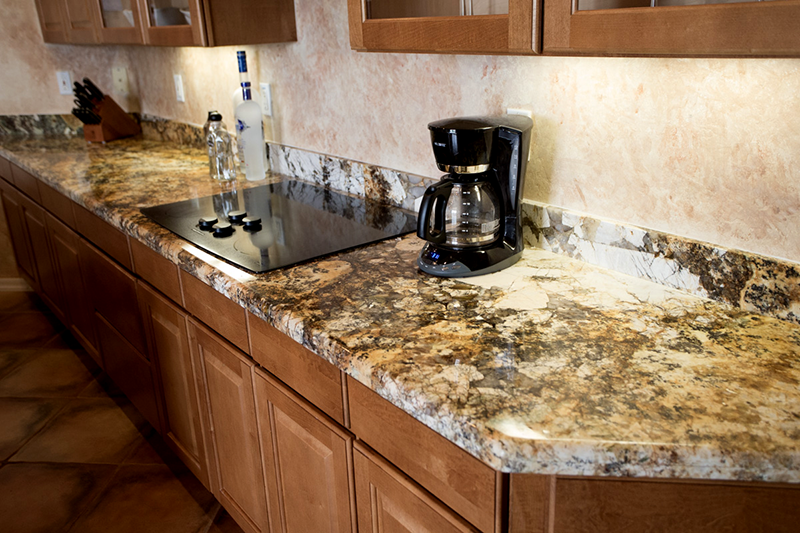 Want to know how easy it is to upgrade your kitchens and bathroom with Granite?